New iMac, Mac mini imminent? Apple is expected to reveal new versions of the iMac and Mac mini within the next couple of weeks – and they will go way beyond what we’ve seen before. The iMac is expected to appear in a new slimmer enclosure – no doubt helped by the fact that it’ll have the new cooler-running 45nm Penryn processors from Intel at its core. 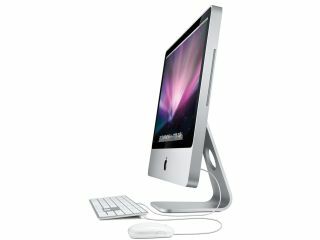 The current iMac, which is available in 20-inch and 24-inch screen sizes, was launched last August. But it’s the revamped Mac mini that’s really going to blow people’s socks off. Frequently written off by pundits because of a paucity of updates from Apple, the new version will be more than half the size of its current biscuit-tin sized forebear. It too will sport 45nm Intel Penryn processors and pack in the GMAX3100 graphics chip currently being used in the MacBook and MacBook Air, according to Loop Rumors.